The first primate clones made by somatic cell nuclear transfer are two genetically identical long-tailed macaques born recently at the Chinese Academy of Sciences Institute of Neuroscience in Shanghai. Researchers named the newborns Zhong Zhong and Hua Hua - born eight and six weeks ago, respectively - after the Chinese adjective "Zhonghua," which means Chinese nation or people. The technical milestone, presented January 24 in the journal Cell, makes it a realistic possibility for labs to conduct research with customizable populations of genetically uniform monkeys. "There are a lot of questions about primate biology that can be studied by having this additional model," says senior author Qiang Sun, Director of the Nonhuman Primate Research Facility at the Chinese Academy of Sciences Institute of Neuroscience. 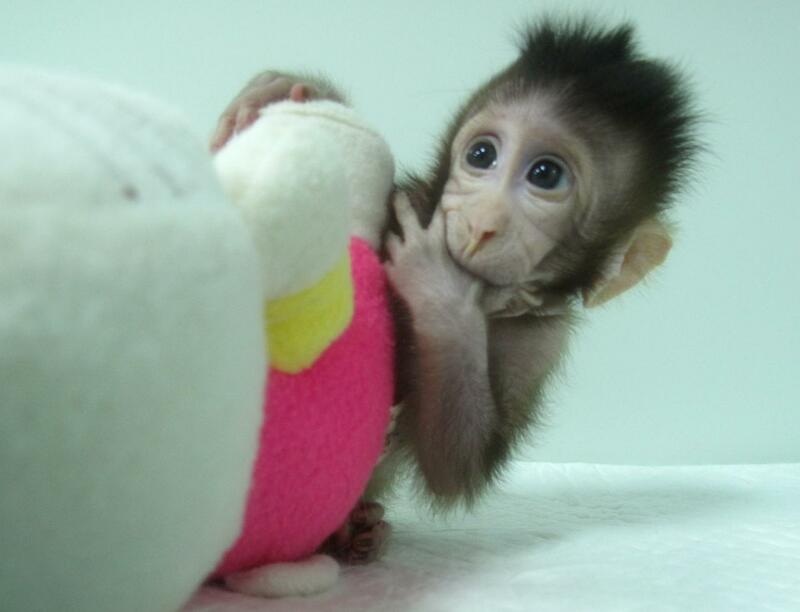 CAPTION: This is a photograph of Zhong Zhong, one of the first two monkeys created by somatic cell nuclear transfer. CREDIT: Qiang Sun and Mu-ming Poo/Chinese Academy of Sciences. 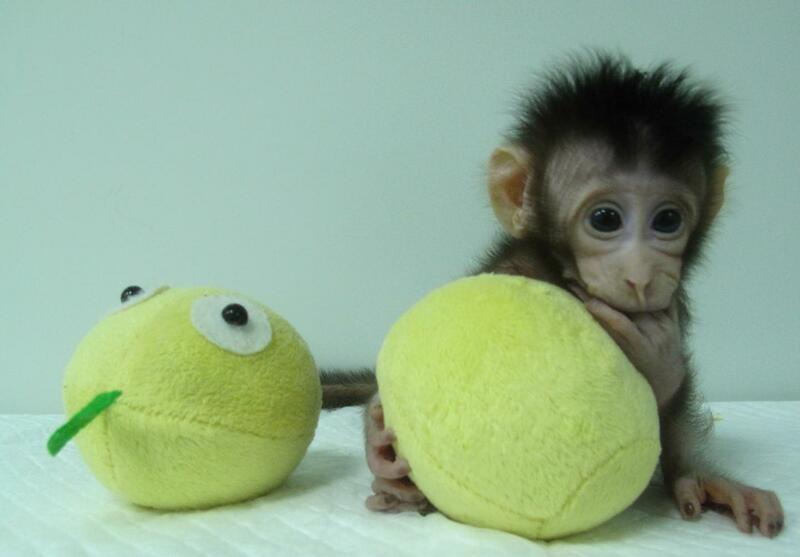 Zhong Zhong and Hua Hua are not the first primate clones - the title goes to Tetra, a rhesus monkey born in 1999 through a simpler method called embryo splitting (Chan et al., Science 287, 317-319). This approach is how twins arise naturally but can only generate up to four offspring at a time. Zhong Zhong and Hua Hua are the product of somatic cell nuclear transfer (SCNT), the technique used to create Dolly the sheep over 20 years ago, in which researchers remove the nucleus from an egg cell and replace it with another nucleus from differentiated body cells. This reconstructed egg then develops into a clone of whatever donated the replacement nucleus. CAPTION: This is a photograph of Hua Hua, one of the first monkey clones made by somatic cell nuclear transfer. CREDIT: Qiang Sun and Mu-ming Poo/Chinese Academy of Sciences. "We tried several different methods, but only one worked," says Sun. "There was much failure before we found a way to successfully clone a monkey." 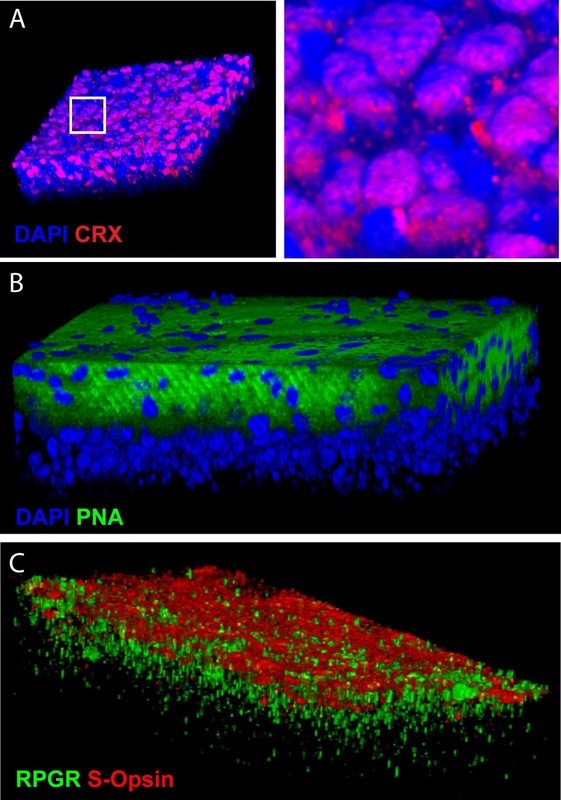 "The SCNT procedure is rather delicate, so the faster you do it, the less damage to the egg you have, and Dr. Liu has a green thumb for doing this," says Muming Poo, a co-author on the study who directs the Institute of Neuroscience of CAS Center for Excellence in Brain Science and Intelligence Technology and helps to supervise the project. "It takes a lot of practice. Not everybody can do the enucleation and cell fusion process quickly and precisely, and it is likely that the optimization of transfer procedure greatly helped us to achieve this success." The lab is following strict international guidelines for animal research set by the US National Institutes of Health, but Sun and Poo encourage the scientific community to discuss what should or should not be acceptable practices when it comes to cloning of non-human primates. "We are very aware that future research using non-human primates anywhere in the world depends on scientists following very strict ethical standards," Poo says. An international team of scientists led from Sweden’s Karolinska Institutet has for the first time mapped all the genes that are activated in the first few days of a fertilised human egg. The study, which is being published in the journal Nature Communications, provides an in-depth understanding of early embryonic development in human – and scientists now hope that the results will help finding for example new therapies against infertility. At the start of an individual’s life there is a single fertilised egg cell. One day after fertilisation there are two cells, after two days four, after three days eight and so on, until there are billions of cells at birth. The order in which our genes are activated after fertilisation has remained one of the last uncharted territories of human development. Karolinska Institutet. Credit: Ulf Sirborn. There are approximately 23,000 human genes in total. In the current study, scientists found that only 32 of these genes are switched on two days after fertilization, and by day three there are 129 activated genes. Seven of the genes found and characterised had not been discovered previously. “These genes are the ‘ignition key’ that is needed to turn on human embryonic development. 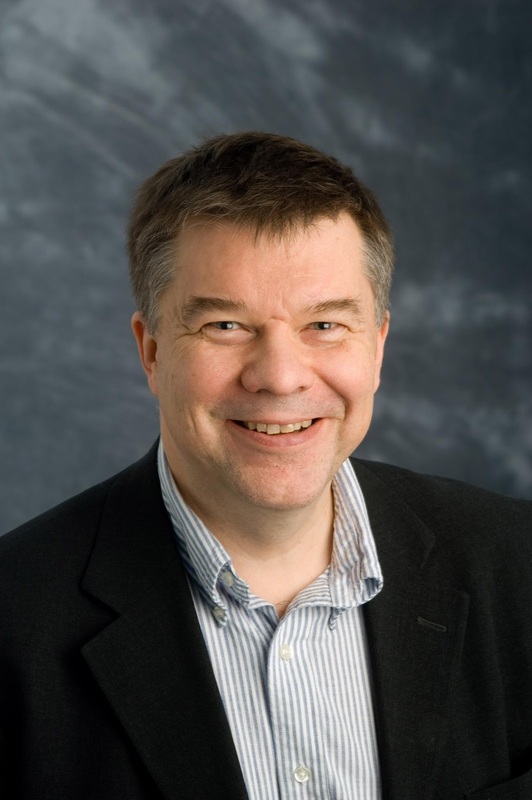 It is like dropping a stone into water and then watching the waves spread across the surface”, says principal investigator Juha Kere, professor at theDepartment of Biosciences and Nutrition at Karolinska Institutet and also affiliated to the SciLifeLab facility in Stockholm. The researchers had to develop a new way of analysing the results in order to find the new genes. Most genes code for proteins but there are a number of repeated DNA sequences that are often considered to be so-called ‘junk DNA’, but are in fact important in regulating gene expression. In the current study, the researchers show that the newly identified genes can interact with the ‘junk DNA’, and that this is essential to the start of development. “Our results provide novel insights into the regulation of early embryonic development in human. 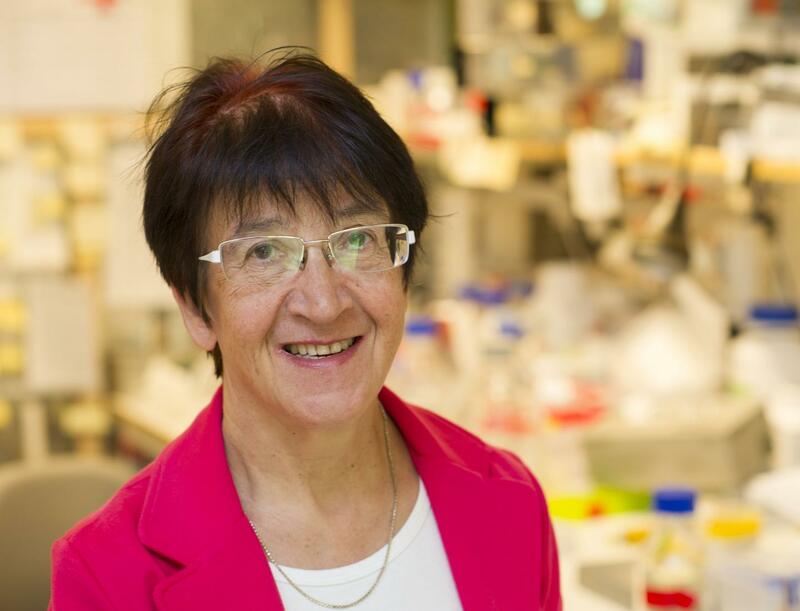 We identified novel factors that might be used in reprogramming cells into so-called pluripotent stem cells for possible treatment of a range of diseases, and potentially also in the treatment of infertility”, says Outi Hovatta, professor at Karolinska Institutet’s Department of Clinical Science, Intervention and Technology, and a senior author. The study was a collaboration between three research groups from Sweden and Switzerland that each provided a unique set of skills and expertise. The work was supported by the Karolinska Institutet Distinguished Professor Award, the Swedish Research Council, the Strategic Research Program for Diabetes funding at Karolinska Institutet, Stockholm County, the Jane & Aatos Erkko Foundation, the Instrumentarium Science Foundation, and the Åke Wiberg and Magnus Bergvall foundations. The computations were performed on resources provided by SNIC through Uppsala Multidisciplinary Center for Advanced Computational Science (UPPMAX).